Learn how to work with color, composition, rendering techniques, and special subject matter, from beginning to advanced levels. You'll enjoy yourself and improve your soft pastel skills with Liz's unique point of view. 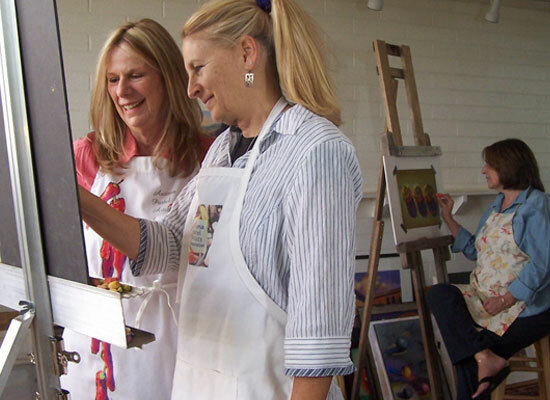 For Beginners Only: 2-Day Workshop at Scottsdale Artists' School, September 24-25. Join Liz and paint, layer and blend with vibrant and easily-applied soft pastels. Learn some basic techniques and take home three final pastel paintings. Info for Scottsdale Artist's School below. 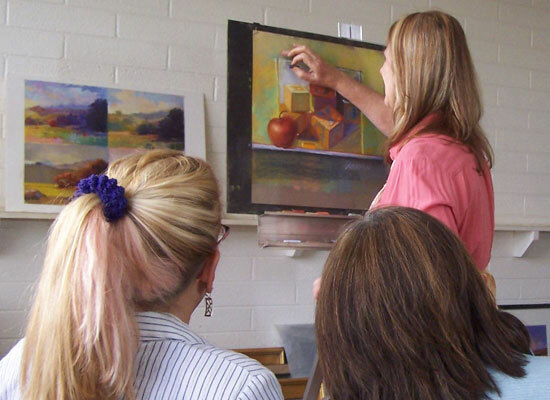 Soft Pastels in Depth: 3-Day Workshop at Scottsdale Artists' School, Nov 30 — Dec 2. Are you ready for more? Increase your skill level with new techniques plus challenges using color theory. Info for Scottsdale Artists' School below. Liz's workshops are tailored to your group's experience levels. She demonstrates each day and gives you one-on-one attention. She likes to set up a challenge, go into the basic principles involved in the process, and helps you apply them to your work. Students say her workshops allow them to stretch beyond their normal comfort zone. To schedule a workshop for your group, please contact me at liztration@cox.net or 602-321-9658. 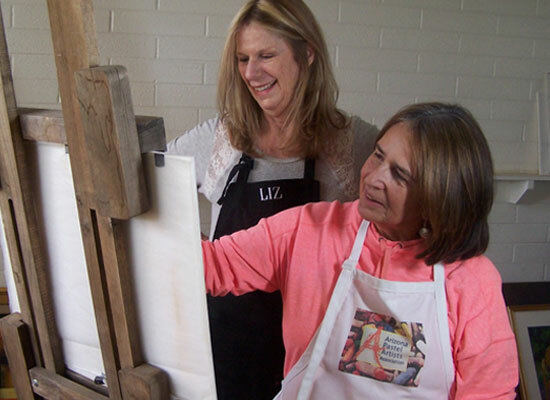 Liz teaches classes at Scottsdale Artists' School on an on-going basis. Currently, her upcoming classes are Workshops listed in the left column. 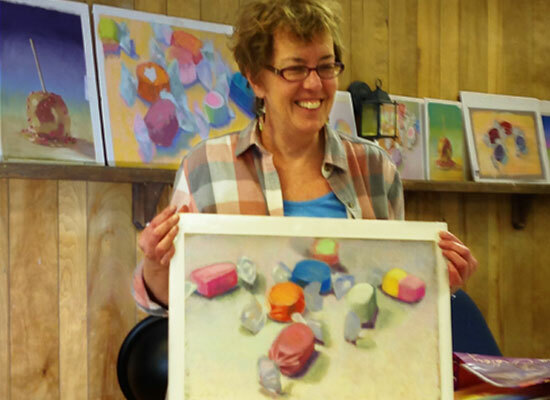 Liz can create a presentation or perform demonstrations of soft pastel painting for your group. Demonstrations show how the soft pastel medium works using various techniques and tools that help to arrive at color and value choices. I offer anecdotes that encourage you to be more observant of the environment and what we actually see in our daily lives. I show how to achieve opaque vs transparency as well as creating vibrancy and rich textures. Presentations are more of a discussion and group participation of the same principles listed above. 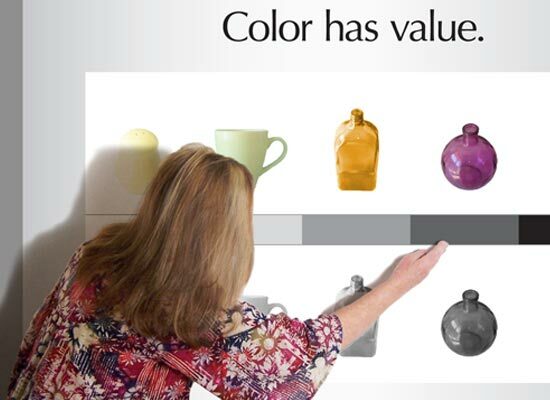 To schedule a Presentation or Demonstration, please contact me at liztration@cox.net or 602-321-9658.